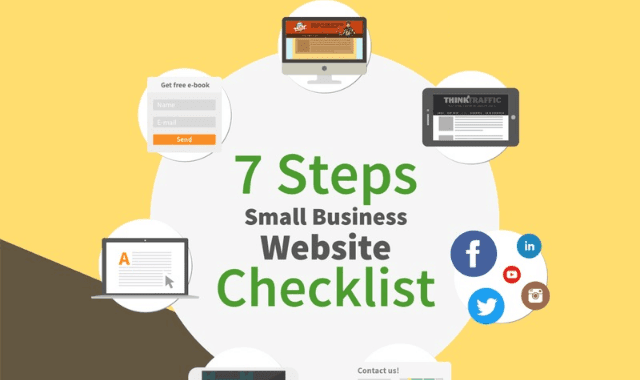 7 Step Small Business Website Checklist #Infographic ~ Visualistan '+g+"
In honor of National Small Business Week, we invited business blogger Chris Ducker to share his marketing expertise. Having a website incorporated into your marketing and growth strategy is not an additional thought anymore—it’s a necessity. Gone are the days where a static brochure-stylesite is going to interest potential clients. I still stumble upon ugly and confusing sites daily. It’s a shocker! On top of the design, we now have to be content creators as well. So it’s important to get the balance between marketing, selling, and engaging right. All this leads to the seven elements that are imperative for a successful and sharable website in today’s social online landscape.